Celebrate Eat Outside Day with this jubako or picnic set bought as souvenir by James Bruce, 8th Earl of Elgin during the first British diplomatic mission to the Empire of Japan in 1858 – perhaps to remind him of Japanese banquets, with their individual sets of dishes and delicacies. Picnicking has long been popular in Japan, with origins in the 16th century when lunch became part of the daily regime. 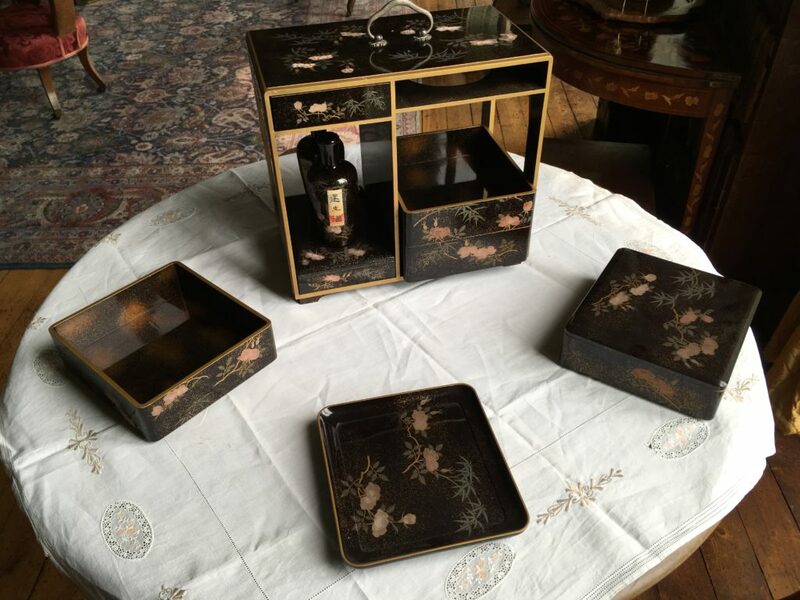 Picnic sets were fashionable items and ours is typical: lacquered wood, with boxes, trays and sake bottles. 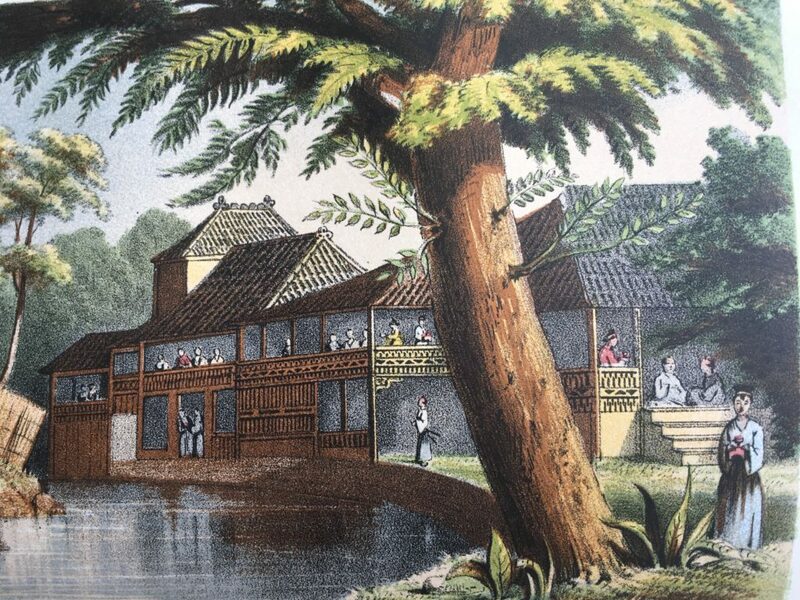 They were usually decorated with flowers and foliage to represent favourite picnicking seasons: cherry blossoms for spring, maples for autumn. Our picnic set is covered with pink roses, which are at their peak in May and are symbols of confidence, trust and happiness, with sprigs of bamboo for good luck. 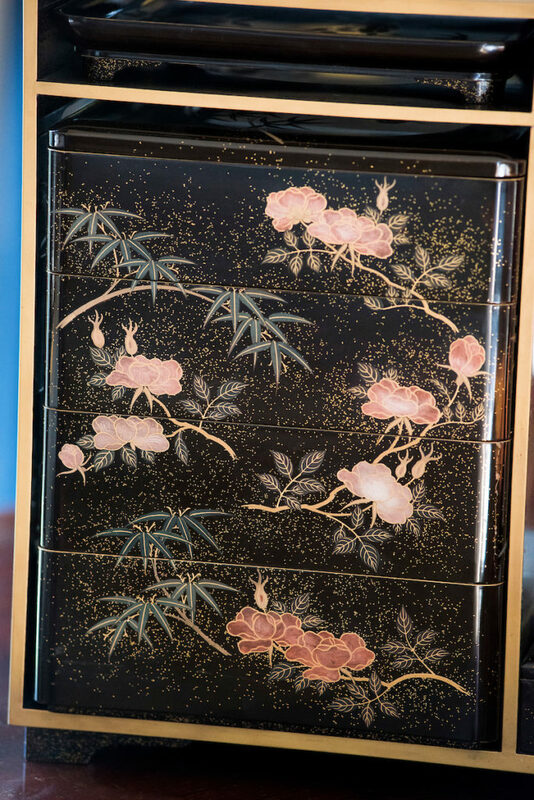 You can still buy modern jubako in Japan, where everyone gathers under the cherry blossoms for ‘hanami picnics’ – meaning enjoying the transient beauty of flowers. 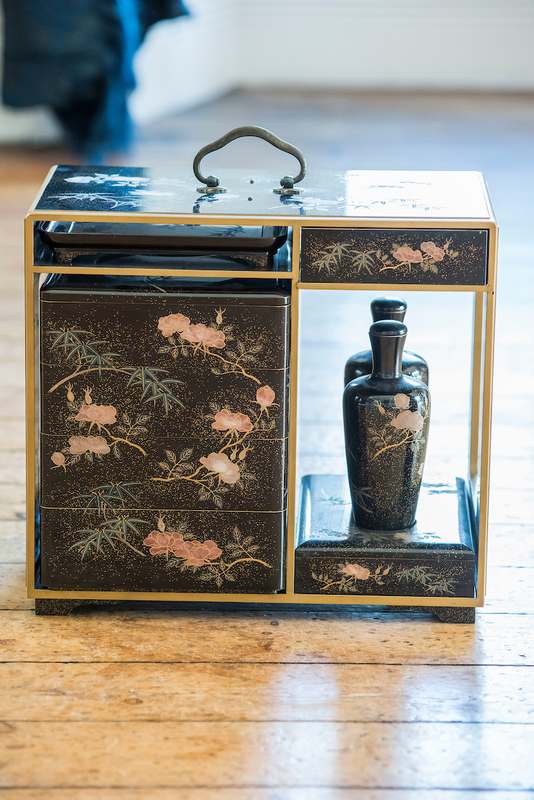 Private viewings of Broomhall’s incredible collection, including the Japanese exhibition launching late 2018 is available by special arrangement. For more details, enquire today.